• Calculate the voltage, current and resistance of several resistors in series and parallel. The following diagram shows a circuit that has 2 parallel resistors in series with a third resistor. 1. What is the total voltage gain in the circuit? 2. What is the equivalent resistance of the circuit? 3. What is the total current through the circuit? 4. 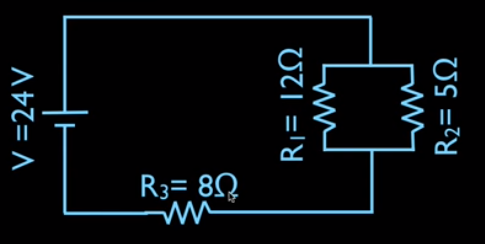 What is the voltage drop across each resistor? 5. 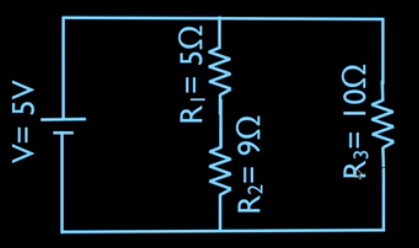 What is the current through each resistor? The following diagram shows a circuit that has 2 series resistors in parallel with a third resistor.